For adventurous drivers in Chino looking for real off-road prowess, the recently redesigned new Jeep Wrangler is without peer. 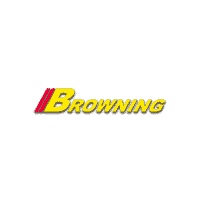 Fortunately, at Browning DCJR, we have 71 new Jeep Wranglers for sale. This rugged flagship of all-terrain SUVs has entered its latest iteration, complete with improved fuel economy, sophisticated Uconnect® infotainment features, and an uncompromising commitment to rugged 4×4 capabilities. Find the newest version of the Wrangler SUV for sale today at Browning DCJR! Not only do we have a massive selection of new Wrangler SUVs for sale, we have plenty of new vehicle specials that’ll suit your fancy, too. Have any questions? Feel free to reach out by filling out our simple form. What Do Critics Say About the New Jeep Wrangler? In recent reviews of the new Jeep Wrangler, Edmunds calls this SUV “a more practical SUV that can still go anywhere,” while Kelley Blue Book praises its “new urban civility.” Ready to experience what the critics have been gushing about? Check out the new Wrangler near Corona today at Browning DCJR. We offer a wide selection; we employ knowledgeable technicians; and we’ll give you ongoing Wrangler advice, such as how to jumpstart your car. So, get started! Contact us today to lease or finance your next Wrangler.